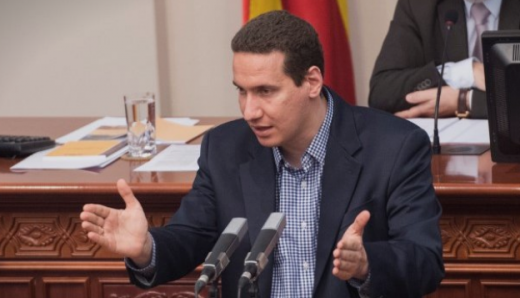 VMRO-DPMNE member of Parliament Vladimir Gjorcev accused the Zaev Government of deliberately cutting infrastructure investment as punishment for parts of the country which do not support the ruling SDSM and DUI parties. – Eastern Macedonia is literally put on a black list. Nothings is going to get built there. The Government is also refusing to provide infrastructure investment for the capital Skopje, but this is due to the total incompetence of mayor Silegov, said Gjorcev. Capital investment or infrastructure spending dropped dramatically under the SDSM Governement. The funds are provided, but they are spent at a rate of less than 40 percent, mainly due to the abrupt halt to the construction of the Kicevo – Ohrid highway on top of the failure to complete the Demir Kapija – Gevgelija highway for over a year, even though it was nearly finished when SDSM took over. Another region which has received no infrastructure spending is Gostivar, whose citizens defied Zaev and DUI leader Ahmeti and elected Arben Taravari from the Alliance of Albanians as their mayor. Gjorcev said that the Government also refused number of VMRO-DPMNE amendments to the budget which would’ve provided funding for infrastructure in the Vardar valley region.